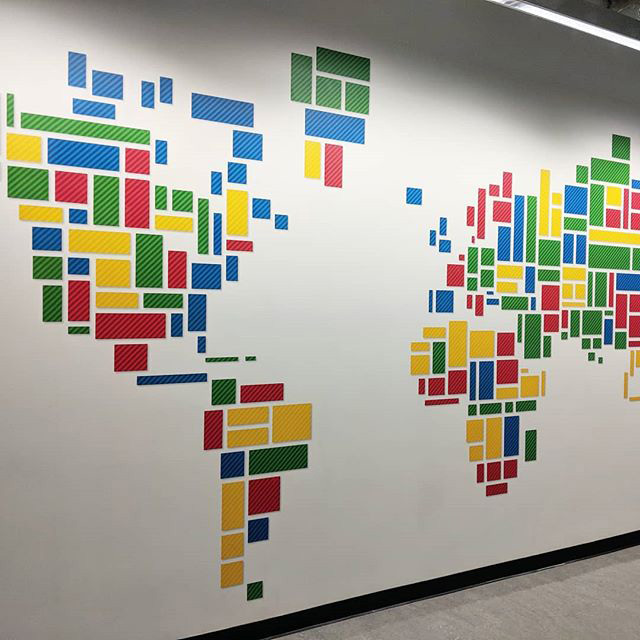 Louis Gray from Google snapped a picture of a wall at the Google office in Mountain View, California showing how Google designed a map on a wall using only Google Display ad units. This is pretty cool and funny. I mean, who came up with this idea? He shared the photo on Instagram and wrote "A world #map, designed with Google Display ad units. It even includes Greenland and New Zealand..."